More Products from Nelson MFG., Inc.
Nelson Mfg. Co., Inc. fabricates a variety of products and we have the capability to build steel and stainless machines and components to order. The Nelson ONE SHOT tree recognition system was introduced in 2010. 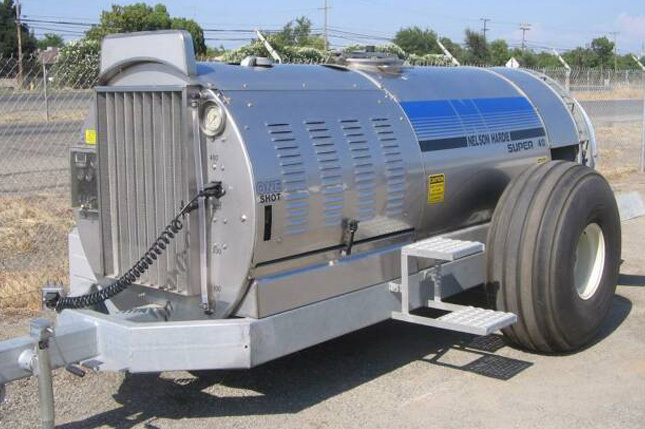 Installed to Nelson Hardie orchard sprayers, the ONE SHOT system will help to minimize spray drift and resulting chemical ground deposits so it is beneficial to the environment. Also, you will find that you will go much farther between sprayer fill-ups and therefore save on chemicals, costs and time! 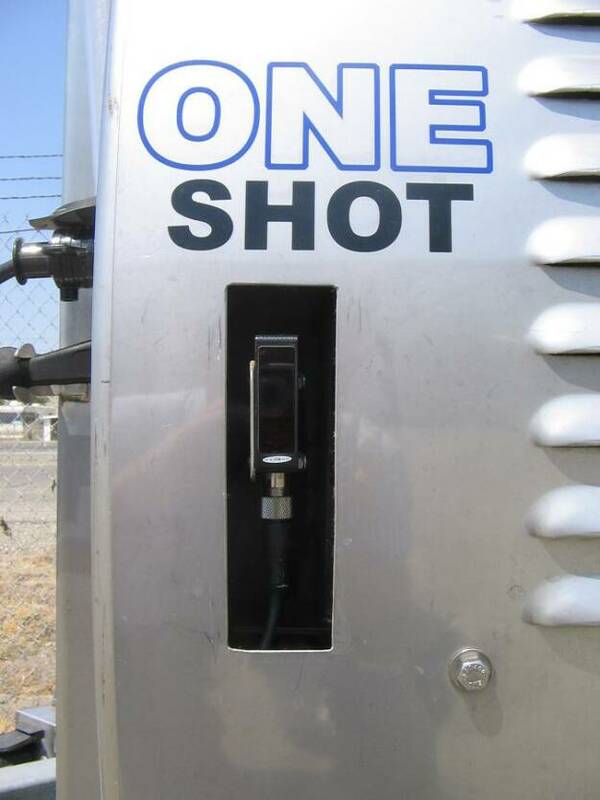 While priced very low compared to other brands, the ONE SHOT is very dependable. The kit includes 2 photoelectric “Eyes”, one located on each side of the sprayer, that keep the spray valves normally in the “Off” position and then turn the valves on when they “see” a tree. 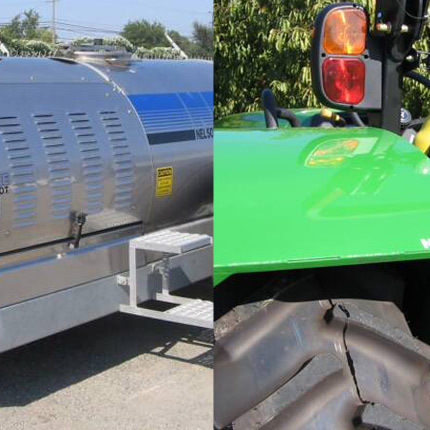 Although most commonly installed on Nelson Hardie sprayers, the kit can be installed on any orchard sprayer. Tree recognition technology in orchards is not new but the Nelson ONE SHOT is unique in that is not only inexpensive, but operation is simple and very easy to teach and learn. Adjustment is easy as well using only a small screwdriver! For all the details on the Nelson ONE SHOT tree recognition system please download the brochure here. 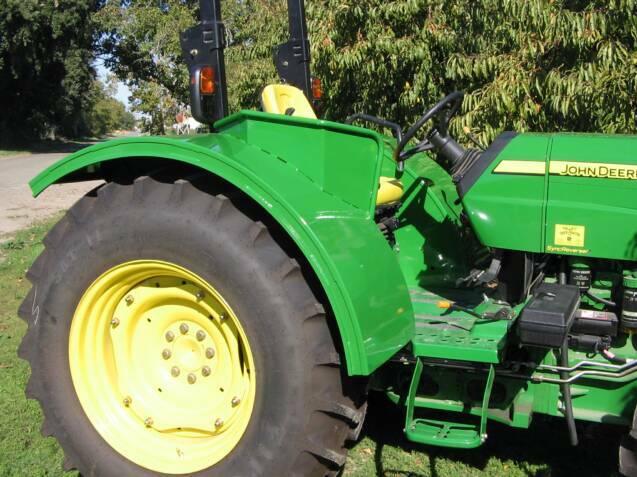 Nelson also fabricates Orchard Fenders to fit most current models of Low profile orchard tractors. Covering the front and top of the tractor’s rear tires, the Nelson Orchard Fenders will help to protect your crop from the tire cleats as you drive through the orchard. If needed, a guard can be designed into the fenders to protect the controls from the tree limbs. The entire control console can be relocated closer to the driver as well (as shown here on a John Deere 5095M).